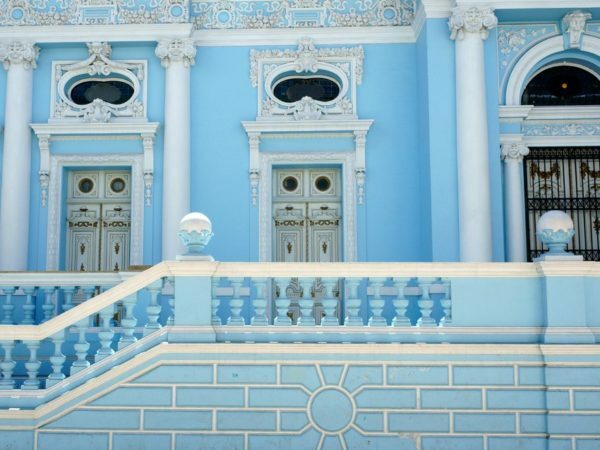 According to Condé Nast Traveler it’s worth hopping on a plane down to Mérida this summer for its sherbet-hued architecture alone. The weather is (finally) warming up and we’re turning our attentions to summer vacation. Here’s where to go. Planning summer travel is exciting—but it can also be daunting. Do you stay domestic or opt for an adventure further afield? Bite the bullet and book a two week beach holiday or savor those limited vacation days and venture out on a series of weekend getaways? 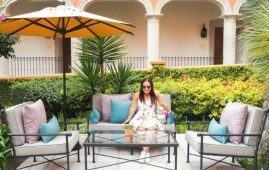 And how, when destinations in the Northern Hemisphere have hit peak tourist season, do you manage to find the best deals? On this week’s episode of Travelogue, we answer those questions and break down the best places to go this summer. For some of us at Condé Nast Traveler, the warmer months are an opportunity to make the most of what’s right on our doorstep, whether it be catching the arts and craft festival in Santa Fe, or eating our way across Texas on a road trip. For others, it’s a time to explore some of Europe’s lesser known beaches, like the Italian villages of Praiano or Minori that have a coastline that rivals Positano (but with thinner crowds), and the under-the-radar Greek island of Milos, known for its mythology and the bluest water in the Cyclades. But if it’s a quick break in Mexico you’re after, we’re currently obsessed with Mérida for its creative scene and affordability. And when it comes to actually getting to your summer destination, there are plenty of airfare deals to choose from right now, especially when it comes to Europe during July and August. Flights to London are as low as $400 roundtrip, meaning planning a visit around Wimbledon—or combining your stay with a weekend in Scotland for the Edinburgh Festival—has never been more feasible (especially given the current exchange rate). Meanwhile a roundtrip to Paris over the next few months is around $500; and really, when isn’t it a good time to go to Paris? But remember, while we’re enjoying our summer, in the southern part of the world temperatures are dropping—which isn’t a bad thing, either. The coming months are the perfect time to go skiing in Portillo, Chile, and if you want to hold out traveling until September, head to Buenos Aires for polo season. As for everywhere else we’re itching to get to? You’ll have to listen to find out. Thanks to Condé Nast Traveler’s Brad Rickman, Erin Florio, Lale Arikoglu and Meredith Carey for the lively discussion. And, as always, many thanks to Brett Fuchs for engineering and mixing. Check back every Friday for the latest installment of Travelogue. To keep up with our podcast each week, subscribe to Travelogue on the iTunes store and if you have a minute to spare, leave a review—we love to hear from you.